Gentoo Forums :: View topic - Scientists prove bigfoot EXISTS with DNA & video! Scientists prove bigfoot EXISTS with DNA & video! 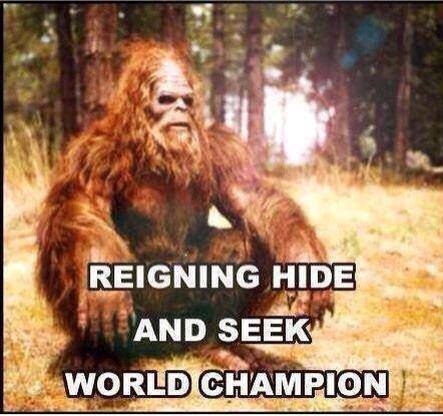 Posted: Fri Oct 04, 2013 1:14 am Post subject: Scientists prove bigfoot EXISTS with DNA & video! Last year a hoaxer trying to start a Bigfoot scare was run over and killed as he stood in the road attempting to terrify drivers. I discard cause it happened in America. They put LSD in the water supply in tourist spots to maintain the credibility of landmarks. That would never work. LSD would make them all question everything the government tries to "sell". This is why it is illegal. It is a guaranteed way to free the mind, and government must prevent that at all costs. They shoud do that all over the globe simultaneously. Imagine the billions tripping at the same time and realizing that their lives were pointless shallow passive rat race pretty much since the age of 5. That would never work. LSD would make them all question everything the government tries to "sell". This is why it is illegal. Potential side-effects would keep me from using it even if it were legal. Don't think I'd even consider it as a medical treatment (if that were legal). I can't see it being used for normal medicinal reasons. There have been successful psychiatric uses of it, a surprising example being Cary Grant. I guess if I needed that, I might consider it. Pain was another. Of course, if LSD were the only thing that could eliminate a severe enough pain, I'd probably reconsider. I think it would actually amplify pain. It amplifies everything. Unless I'm mixing up events, a Doctor used it on his kid who had cancer. Another fact of doubt is that why is Big Foot found only in the U.S.? Is it cause of the past history of the region or the present issues with people of the region? 1924: Prospector Albert Ostman is “kidnapped” by yetis in British Columbia. 1924: Miner Fred Beck attacked by rock-throwing “apemen” in Washington. 1941: Jeannie Chapman flees a 7ft 6in sasquatch in British Columbia. British Columbia is part of Canada. But it is in North America, so a bonus point for getting the correct continent. Similar stories of wildmen are found on every continent except Antarctica. The real question is this: what is the plural of Bigfoot? An abomination of Bigfoots. Or Bigfeet? Bigfoot. As in fish or shrimp. One fish, Two Fish, Red Fish, Blue fish?